The much anticipated rematch between Dillian Whyte and Derek Chisora has been announced today by Eddie Hearn's matchroom boxing. 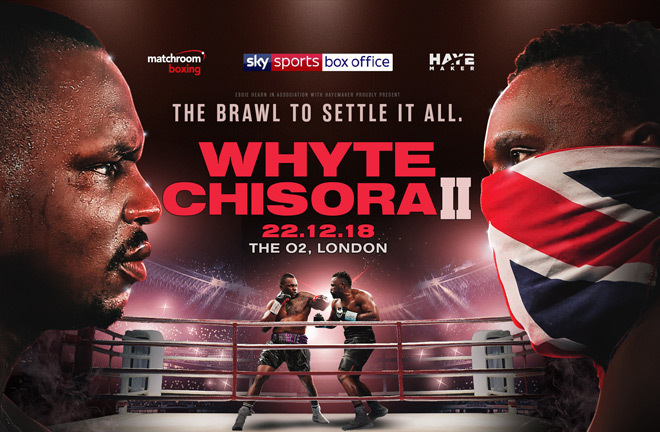 Dillian Whyte and Derek Chisora meet in one of the most highly-anticipated Heavyweight rematches in recent times at The O2 in London on December 22, live on Sky Sports Box Office in the UK and DAZN in the US. The date will mark just over two years since their epic Fight of the Year contender at Manchester Arena, where Whyte edged out Chisora via a controversial split decision after 12 relentless rounds of brutal action. 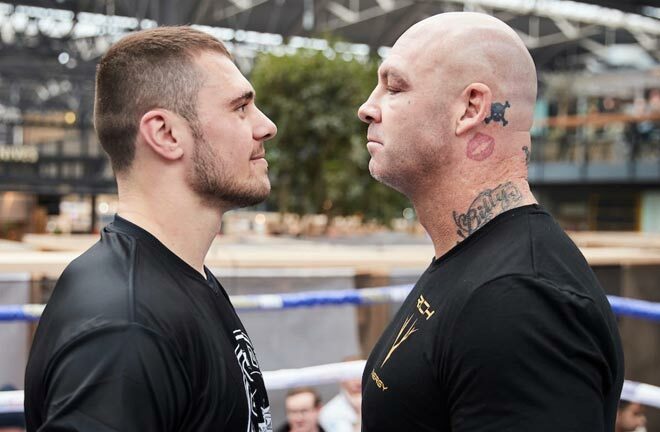 Since that night, Brixton’s Whyte has gone from strength to strength, and now finds himself on the cusp of World title action after big wins over Australia’s Lucas Browne and New Zealand’s Jospeh Parker. Whyte destroyed Lucas Browne with a devastating sixth round KO in March before dropping and outpointing former WBO Champion Parker in a gruelling contest at The O2 in July to bolster his claim for a World title fight. Finchley star Chisora has been gunning for a rematch with ‘The Bodysnatcher’ ever since their first memorable meeting and finally gets the chance to avenge his loss against the WBC Silver Champion in an eagerly-anticipated Christmas cracker. A rejuvenated Chisora is back on the World title hunt after sensationally stopping former World title challenger Carlos Takam in eight rounds on the undercard of Whyte’s clash with Parker at The O2 in July. Chisora, now managed by old foe David Haye, has long maintained that he did enough to beat Whyte in their first meeting and has promised to take it out of the judges’ hands by knocking out Whyte when they meet again in December. “This is going to be the donkey’s final destination,” said Whyte. “This will be Chisora’s last fight, the donkey’s last ride. 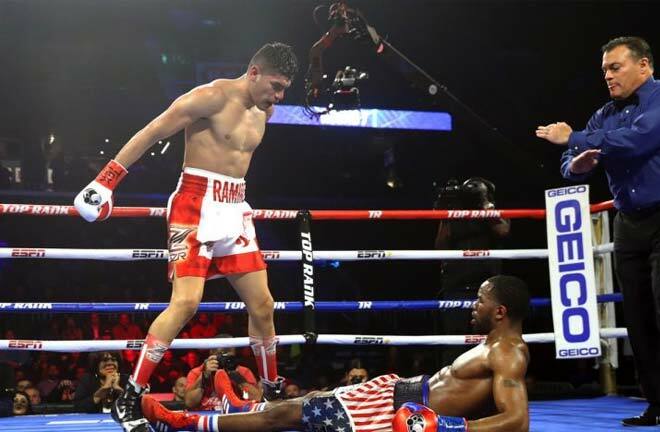 I think that he needs to really have a good think about taking this fight because he’s going to be heading home after the fight looking like he’s been run over by a truck. 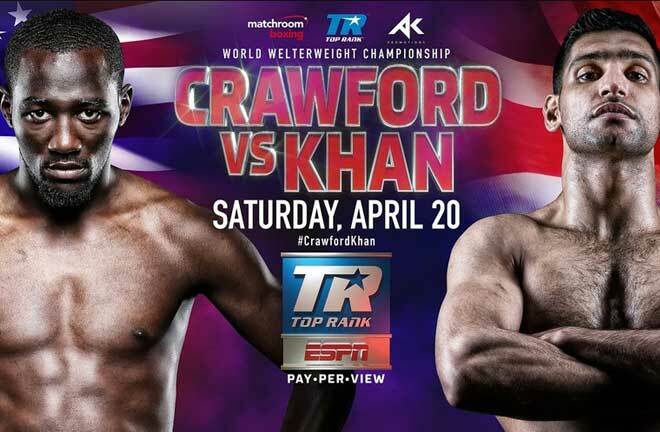 I believe that I’ll knock him out in devastating fashion this time. Last time was my first 12 rounder and I was a little bit inexperienced but this time I’ll know exactly what to do. He’s at the end of the road. “On Saturday 22nd December, you will all witness exactly what ‘WAR’ Chisora is about,” said Chisora. “I’m not messing, I’m not playing at boxing. Dillian has spent the last two years avoiding getting back in the ring with me. He knows exactly what it feels like to go toe-to-toe with me. For the next 7 weeks he will have sleepless nights knowing what he has finally signed up to. His last couple of opponents didn’t come for battle, they didn’t even put heat on Dillian, on December 22nd I’m coming to burn him up! 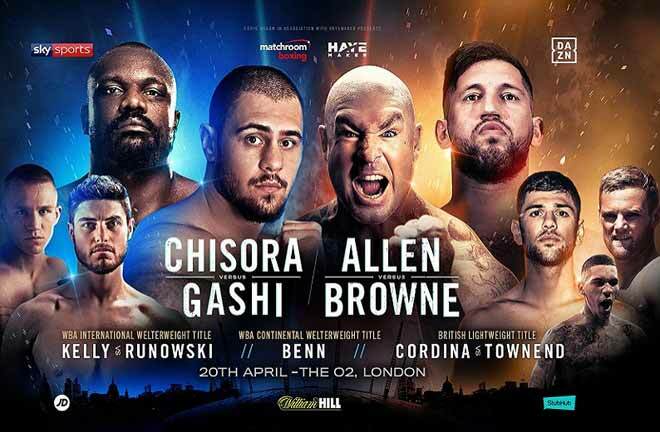 David Haye, CEO of Hayemaker Boxing and manager of Chisora, said: “Without question there is a different fire in the eyes of ‘WAR’ Chisora, for two years he has wanted to settle the score with Dillian and finally he has the opportunity to do this. He has embraced everything we have thrown at him. Derek has huge untapped potential, the fact he has reached out to me, someone historically he had such animosity with for help demonstrates the lengths he is willing to go in order to realise the best version of himself. General Sale tickets are available to purchase at 1.00pm on Saturday November 3 from StubHub (www.stubhub.co.uk), The O2 (www.theo2.co.uk) and Matchroom Boxing (www.matchroomboxing.com). 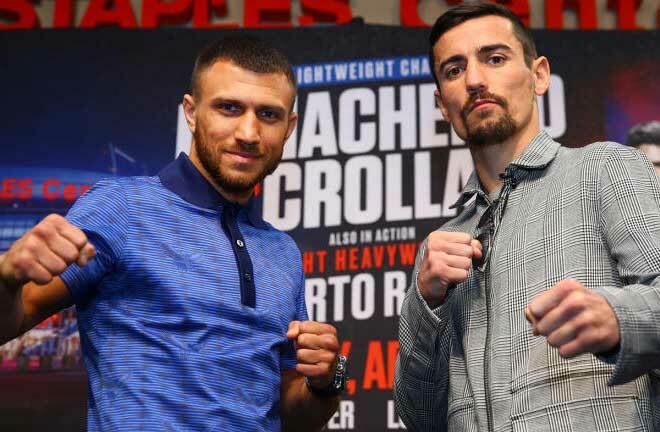 This article was provided by Matchroom Boxing (www.matchroomboxing.com) official press release.